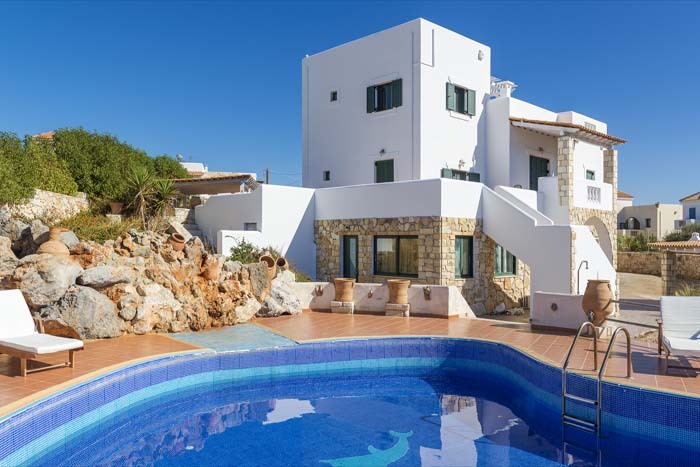 Villa Phaidra lies on three levels. 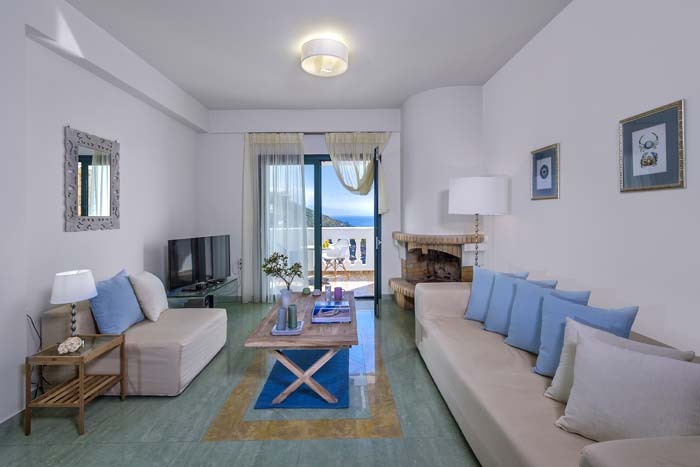 The ground floor consists of the kitchen, the main living room and two en suite bedrooms. 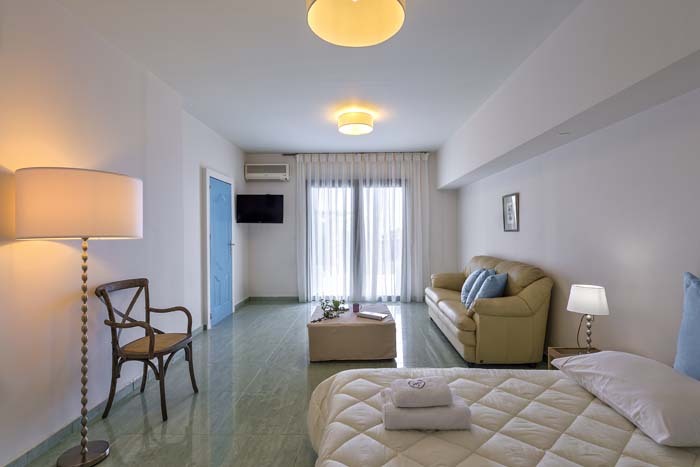 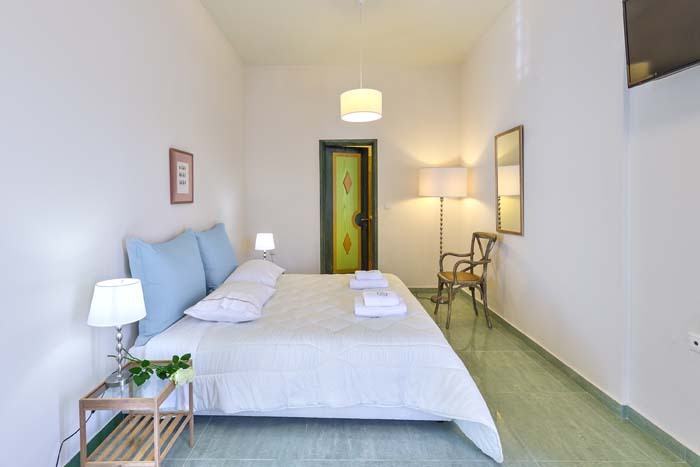 One bedroom has a double bed and the other twin beds that can also form a double according to the guests’ needs. 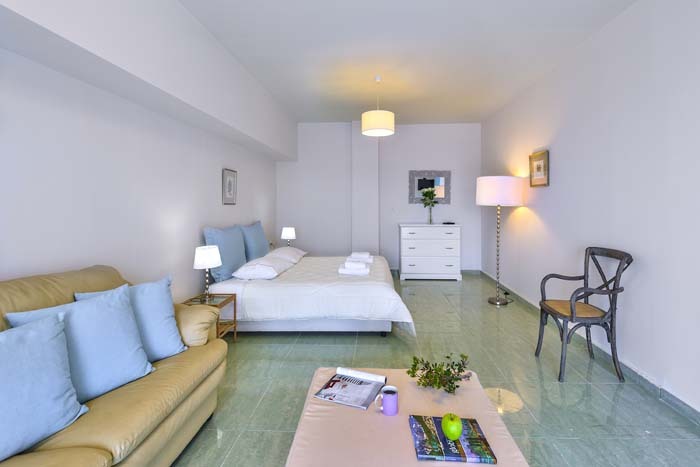 On the upper floor there is one more double bedroom with its own bathroom. 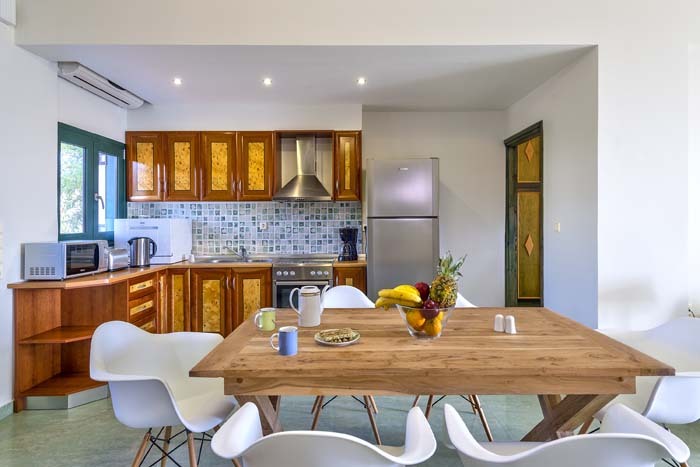 On the pool level you’ll find a second kitchen with a dining area and two double bedrooms. 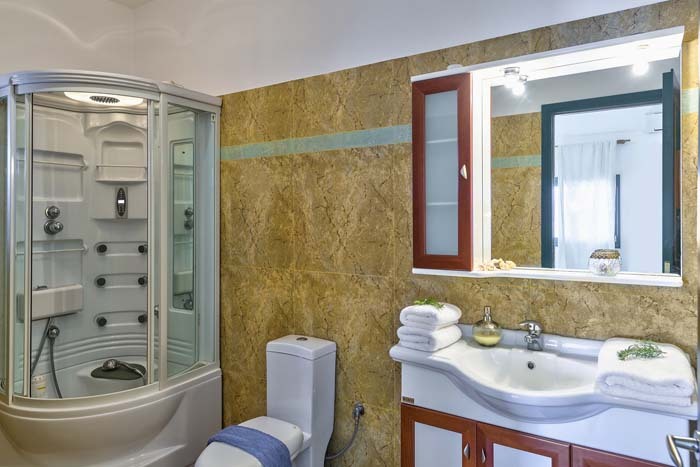 A separate entrance on this level leads to another two bedrooms (a double and a twin which can convert to a double) that are separated by a door and share a bathroom. 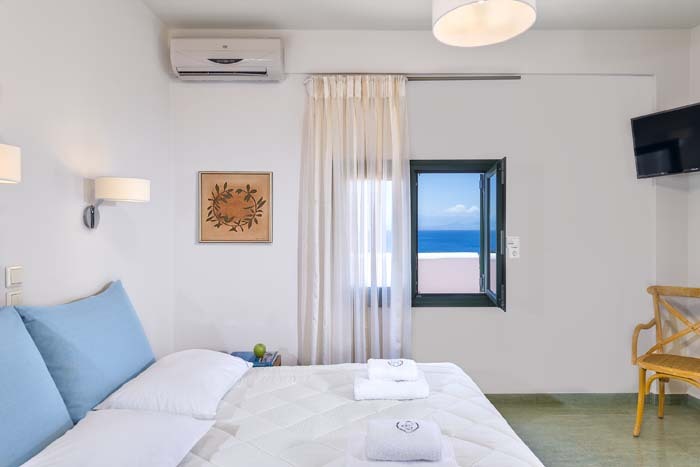 This room is ideal for parents with children. 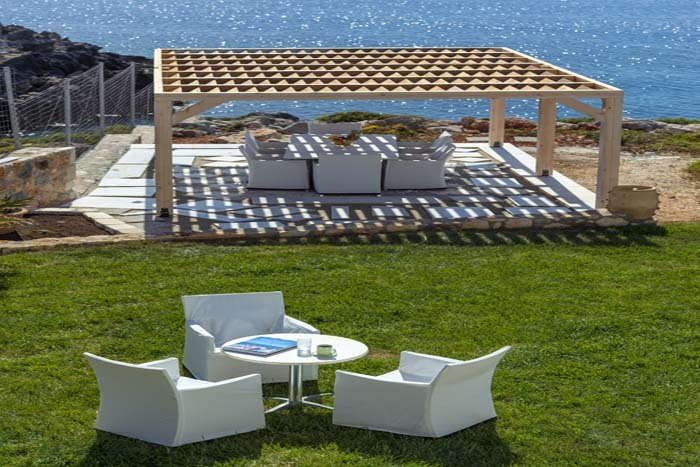 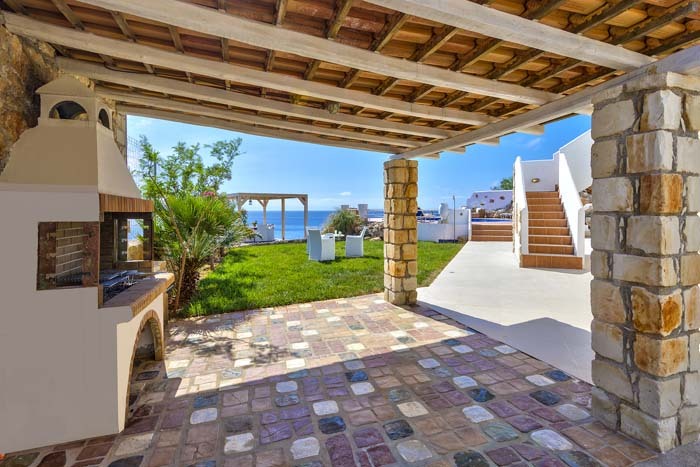 The peaceful outdoor area of the villa and the tranquility of the environment ensure relaxation and a getaway from the anxiety of the urban life. 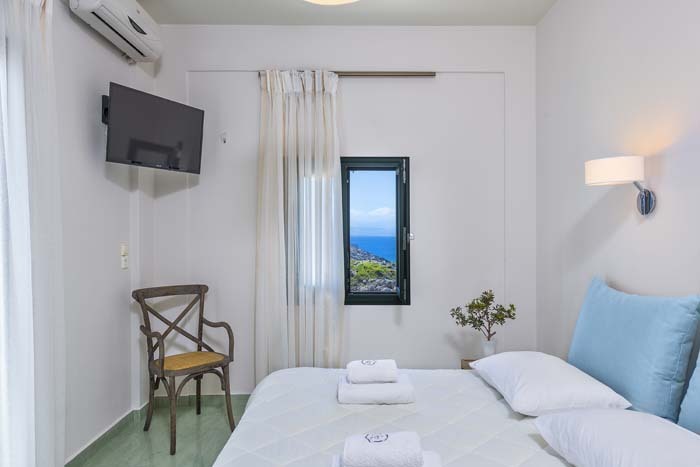 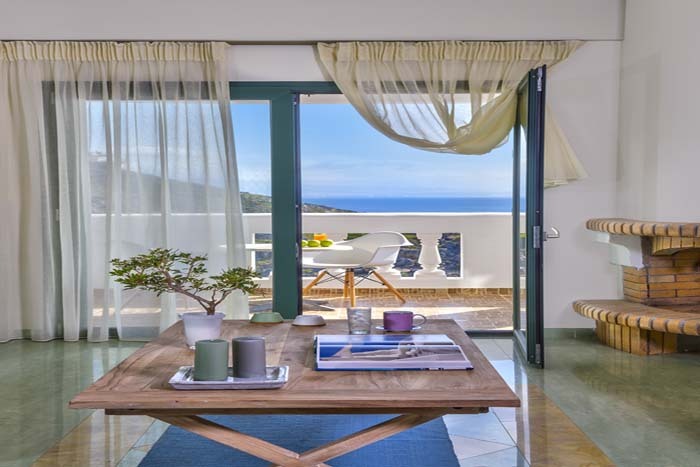 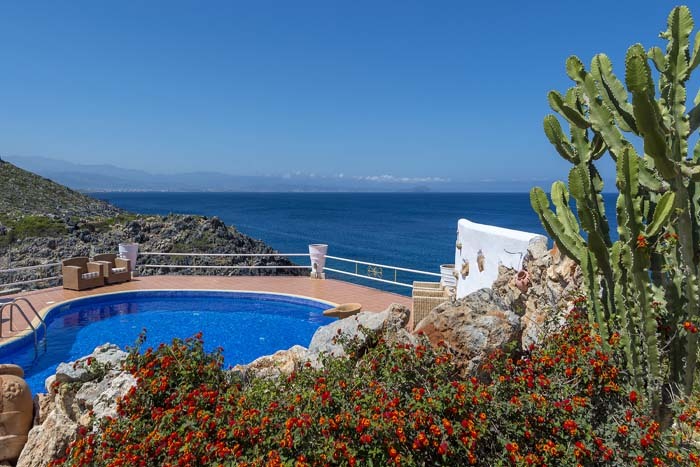 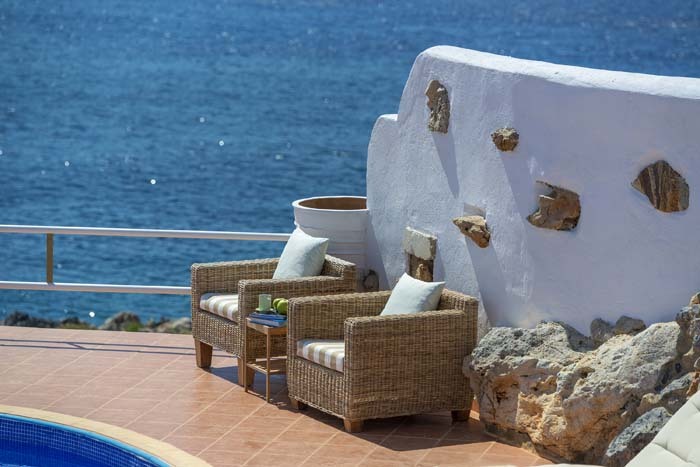 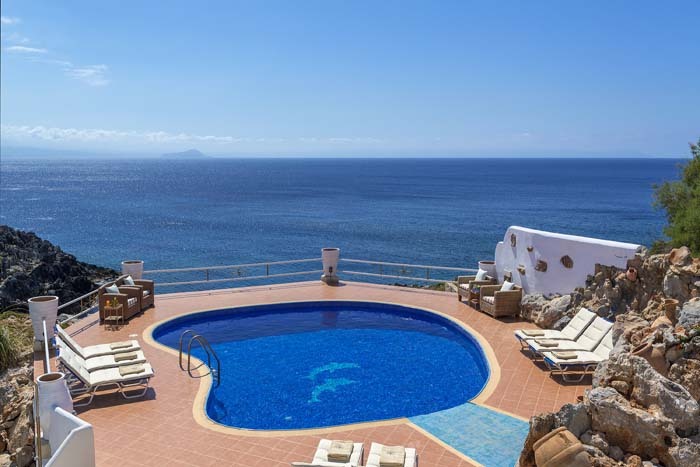 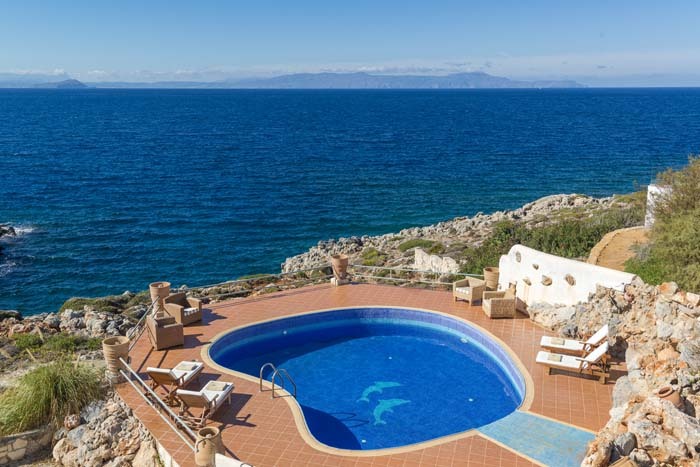 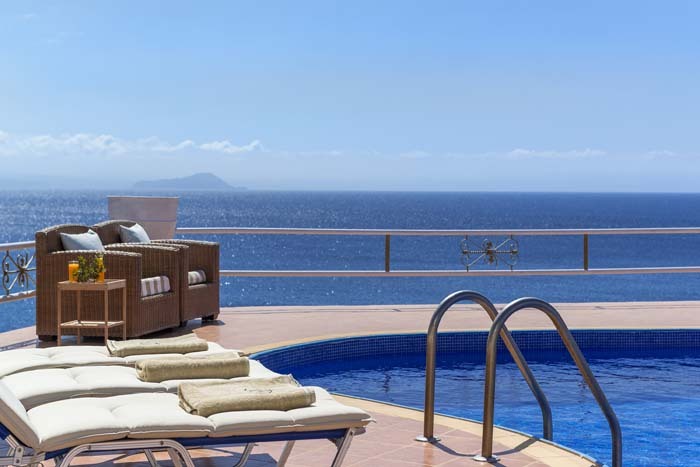 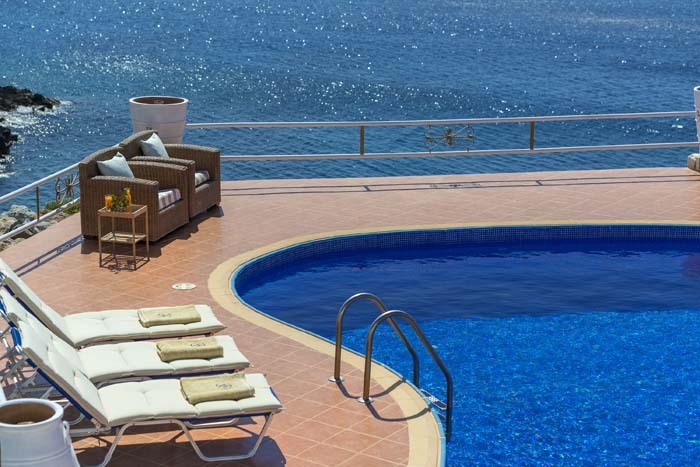 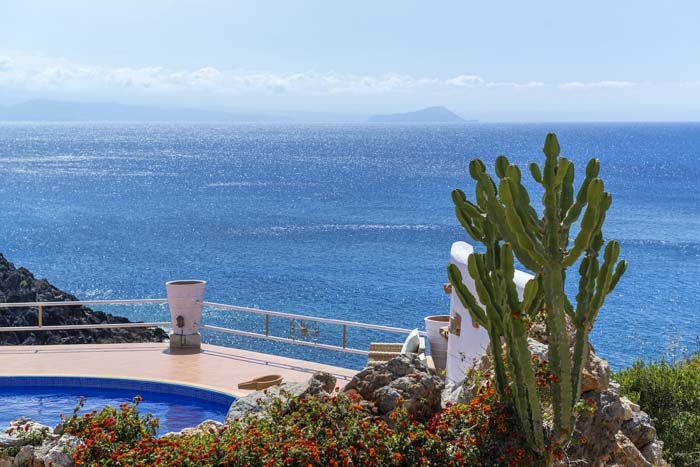 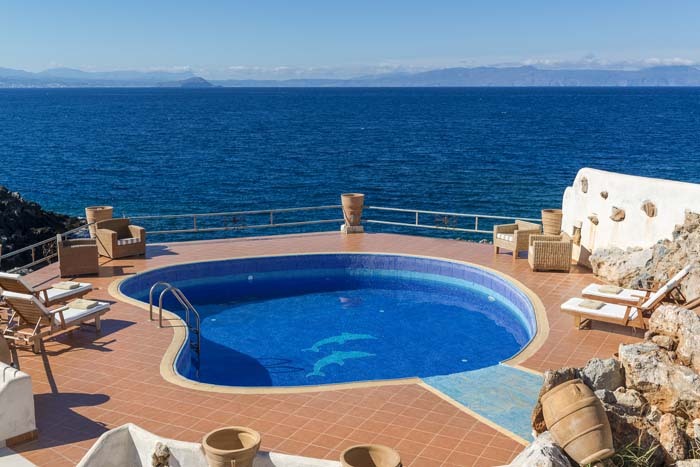 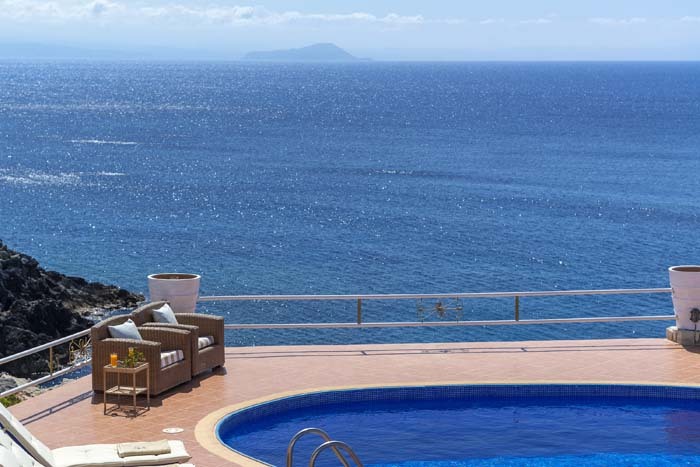 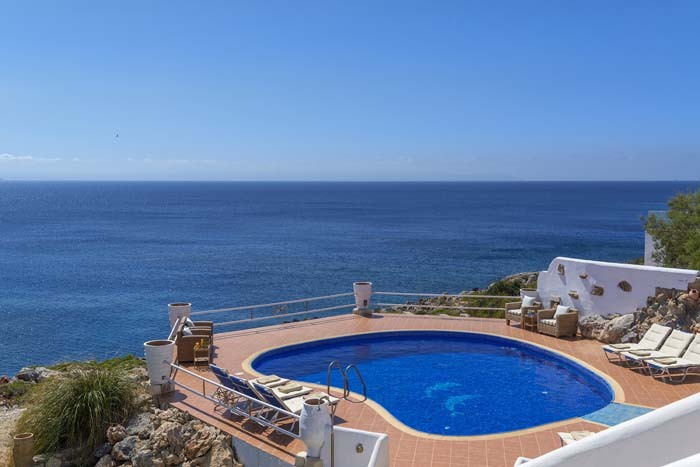 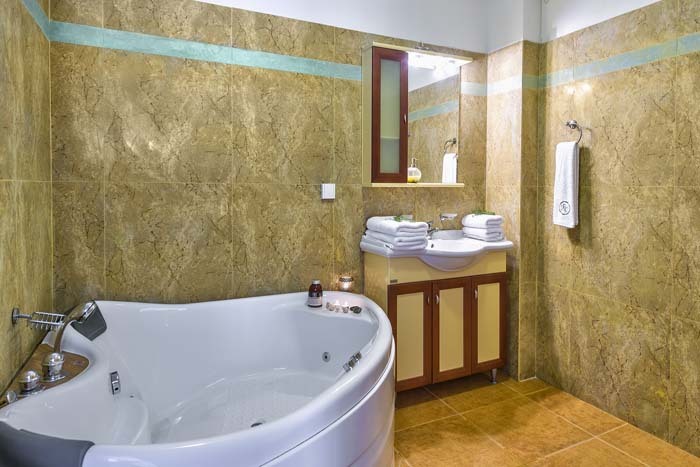 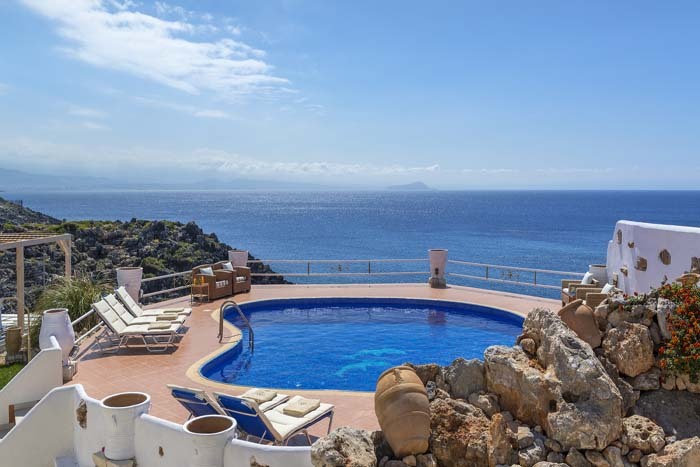 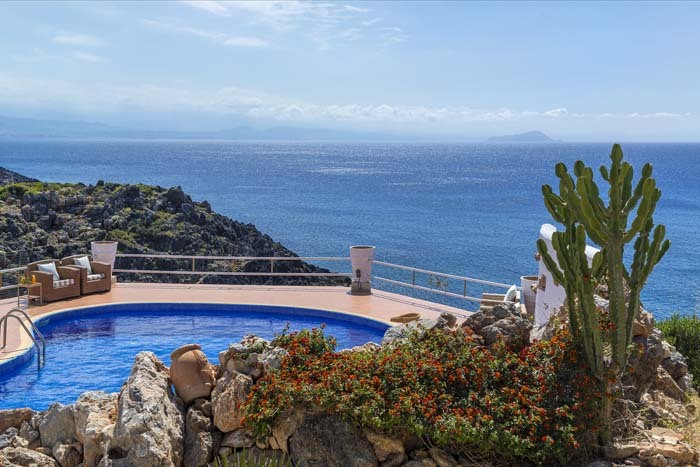 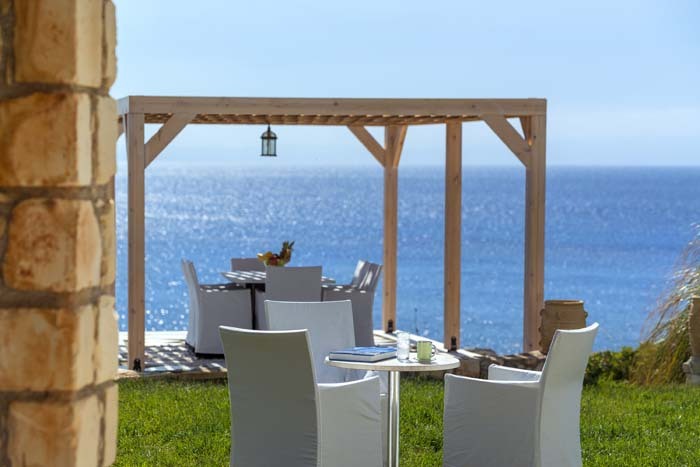 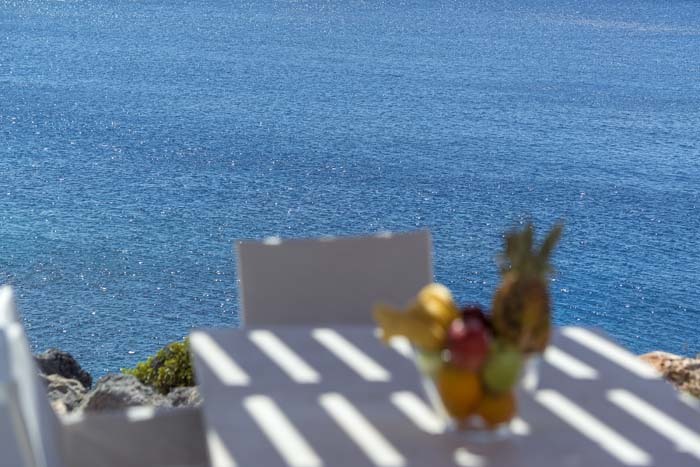 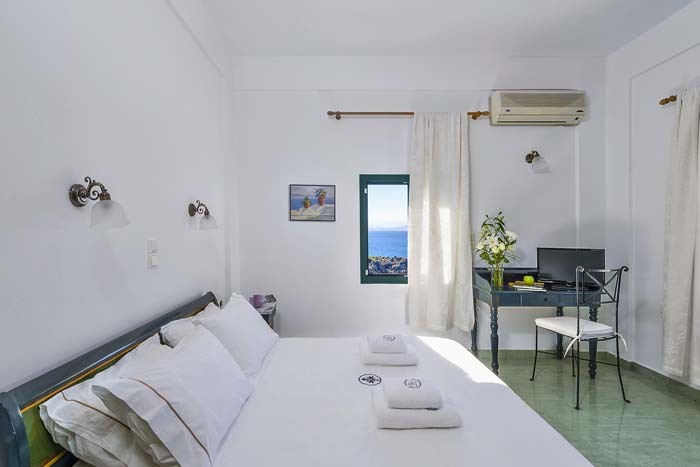 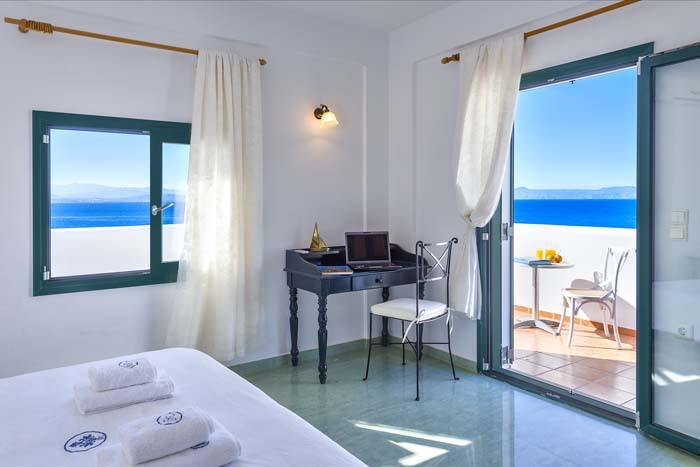 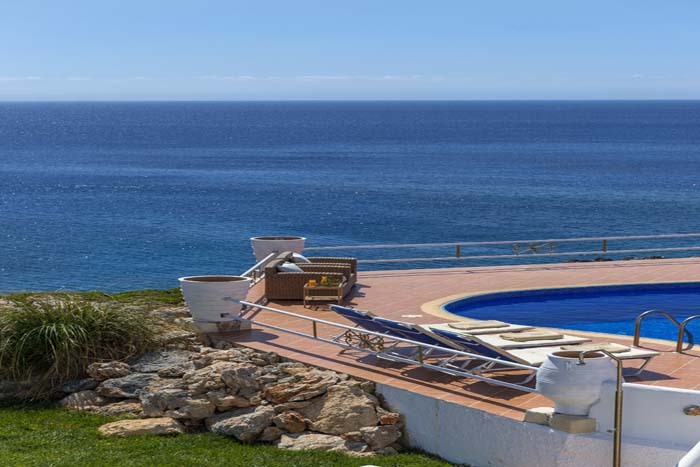 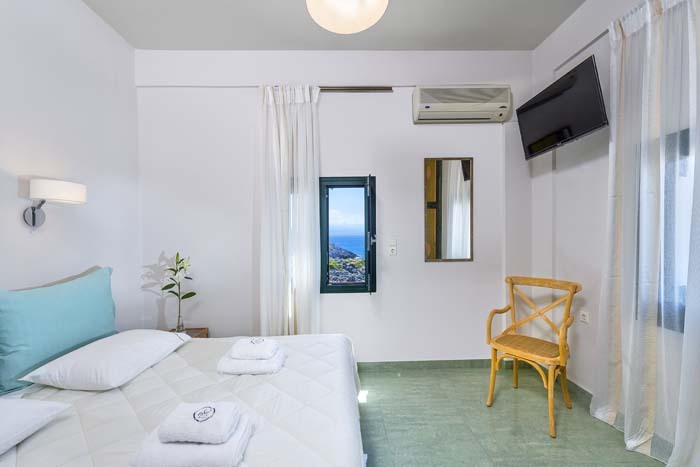 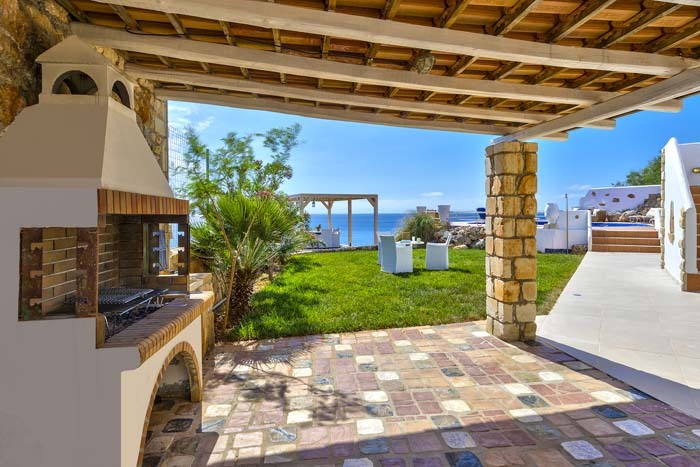 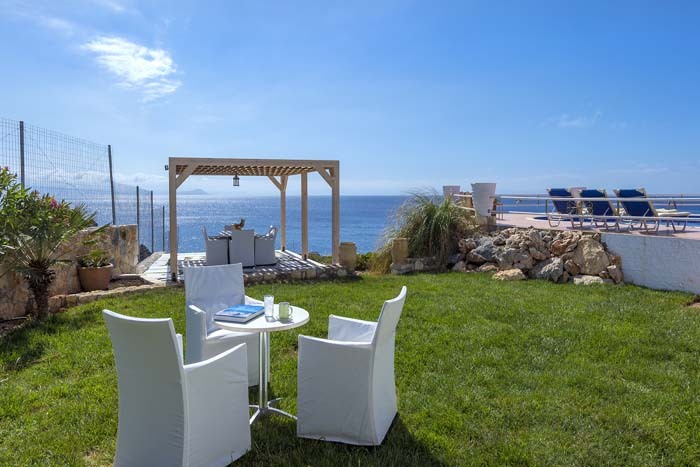 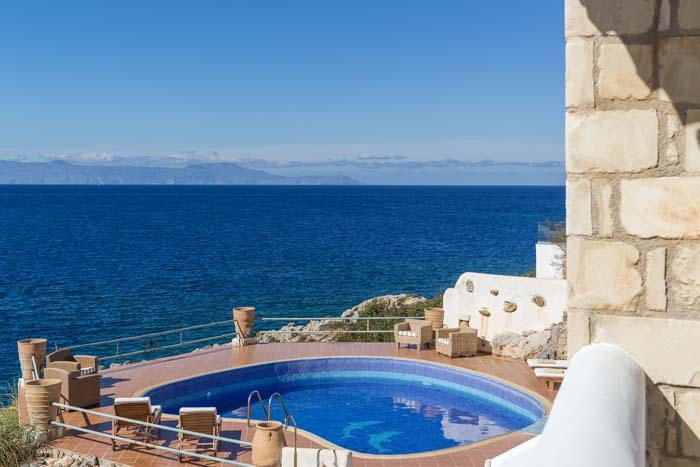 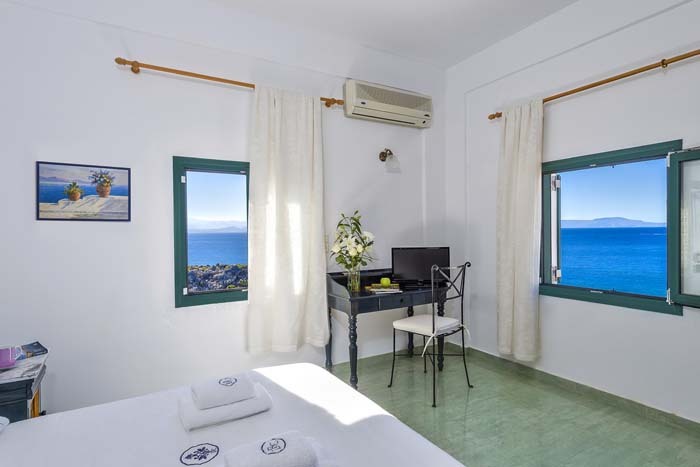 The villa has a 45sqm private pool, a garden with lawn flowers and herbs and spacious furnished terraces all with stunning views of the crystal clear sea. 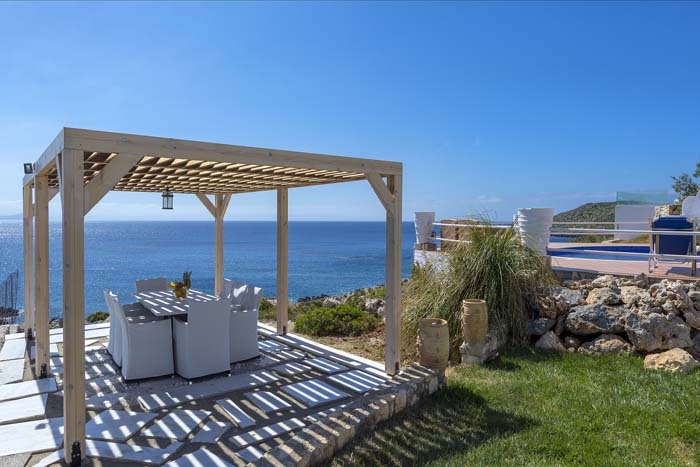 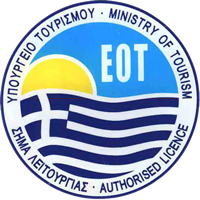 There is a BBQ and outdoor dining area as well as a comfortable sitting area ideal to watch a few amazing sunsets with your loved ones and refill your batteries before leaving the island.